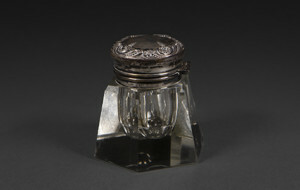 Earliest forms of inkwells date back to the Ancient Egyptians, members of wealthy or upper-class families hired scribes to write for them. 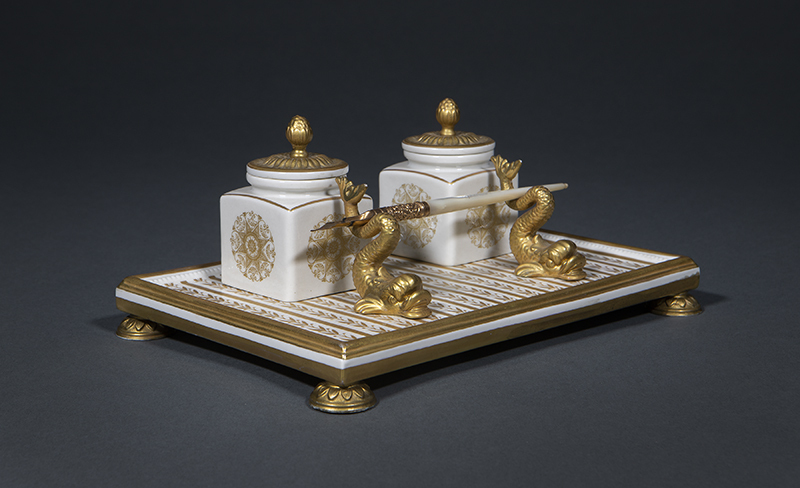 These scribes began by using small ink palettes carved into pieces of stone with round hollows for each separate color of ink. 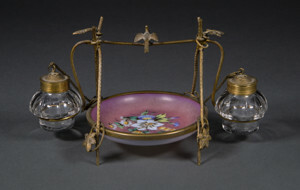 Over time, these palettes were developed into larger pieces of stone or clay, eventually becoming containers in which a stopper was added to protect and add to the longevity of the ink. 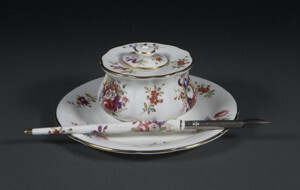 In Europe, prior to the sixteenth century, writing was considered to be a lowly task. 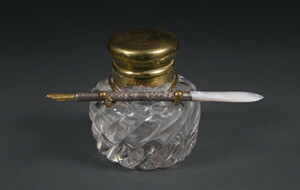 Therefore, a scribe or scrivener would correspond using a quill pen and ink on behalf of the aristocracy. 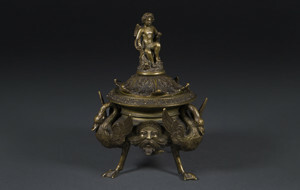 From the seventeenth century onwards however, inkwells and inkstands became more decorative and elaborate as the gentry began to undertake writing themselves, rather than feeling that this was a task exclusively suited for the lower classes. 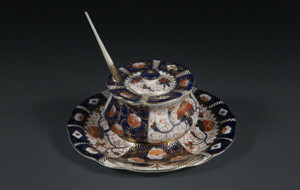 As the art of writing spread across the world, animal horns began to be used as the material for making ink containers. 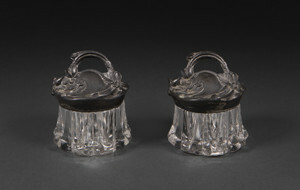 To begin with, these inkwells were fairly basic and designed purely for practicality, with little ornamentation. 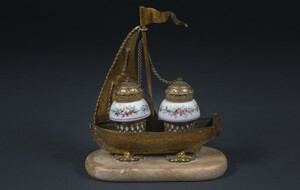 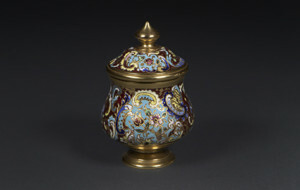 During the Middle Ages and Renaissance, decorative inkwells often crafted in gold or silver were introduced. 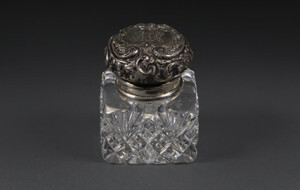 Excessive ornamentation came into prominence with the baroque era, adhering to the fashion of most silverware, jewelry and clothing at this time. 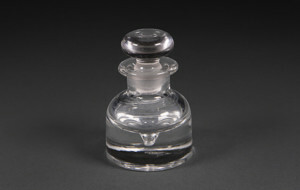 At the advent of the American Civil war (1861-65) the portable inkwell was developed. 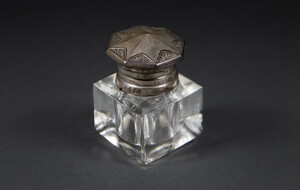 This was for the benefit of soldiers, who could now correspond from the battlefield. 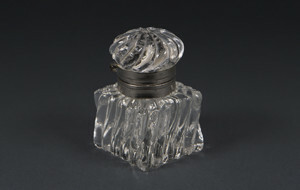 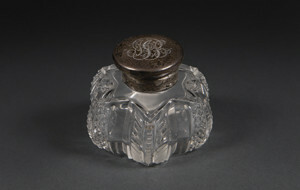 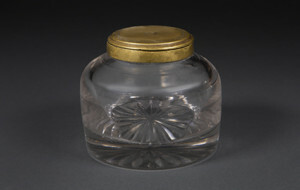 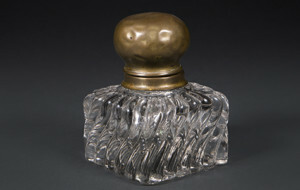 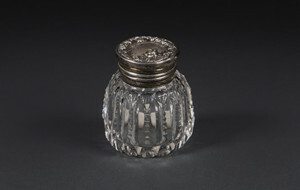 This compact and portable design was also beneficial to affluent travelers; for their purposes, inkwells would be housed within boxes known as compendiums, which also held other writing equipment such as quills, ink, paste papers (used to seal letters) and a sander (to hold a fine sand, sprinkled to prevent ink smearing), medications and toiletries. 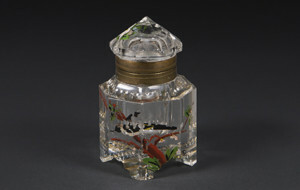 At the beginning of the nineteenth century, the Art Nouveau movement welcomed the use of elegant feminine shapes and flora and fauna across all mediums of art and design. 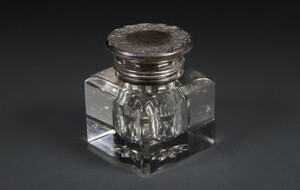 The invention of the typewriter in the 1870’s, along with the first fully functional and reliable fountain pen being patented by Lewis Waterman (1884), together spelled the demise of the inkwell. 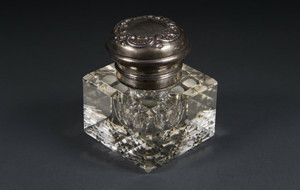 With increasingly practical fountain pens being produced in the twentieth century, the demand for inkwells fell to the point of obscurity, predominately being regarded as a rarity and owned by collectors. 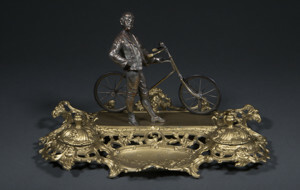 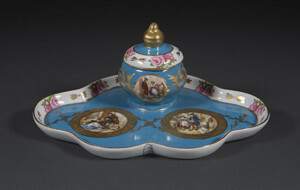 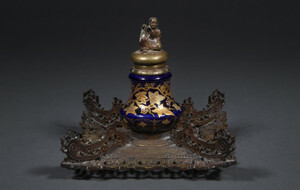 Inkstands however in recent times have enjoyed a revival in popularity. 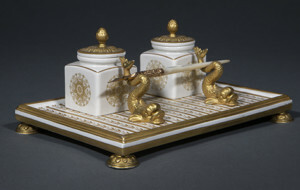 Their practical nature, fine designs and often exceptional craftsmanship ensure they are a timeless, decorative and functional addition to any modern day home.